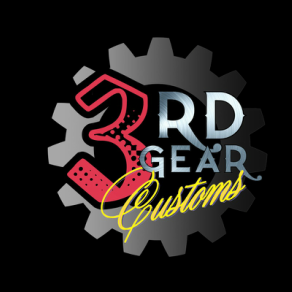 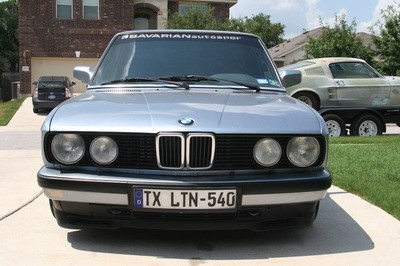 Once Sergio Cantu of 3rd Gear Garage and Hot Rod Shop took possession in 2004 the mod list continued with the installation of 292 BMW Schrick High Performance Camshafts, a long tube ceramic coated Ireland Engineering exhaust header, a matched set of High Pressure Cobra Fuel injectors, adjustable fuel pressure regulator, tunable Steve Miller MAF Conversion and programmable WAR chip, and finally a UCC short shifter. 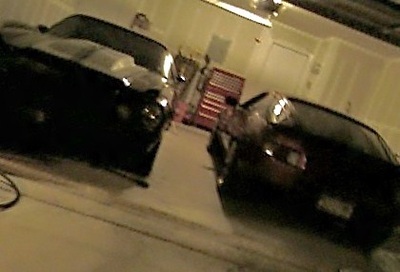 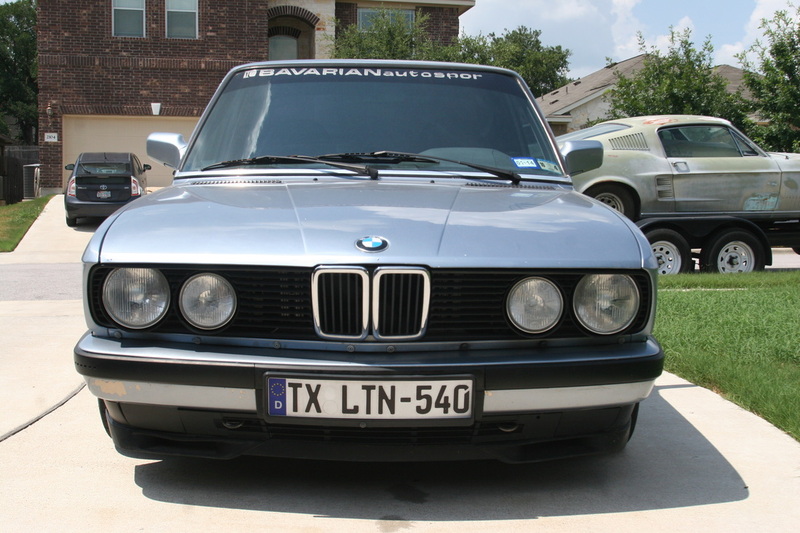 This car has over 330,000 miles on it and laid down 247hp to the ground in 2012. 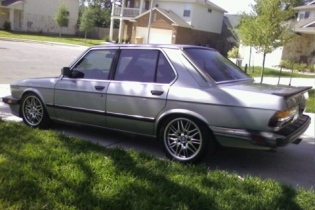 Not too shabby for an old dog. 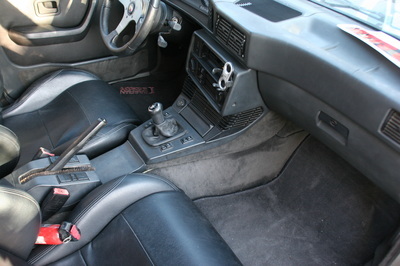 On to the cosmetics, the interior was simple. The headliner was dyed black, the factory crimson interior was stripped and black panels and a set of Corbeau Racing Seats with 5-Point Harnesses hold you in. 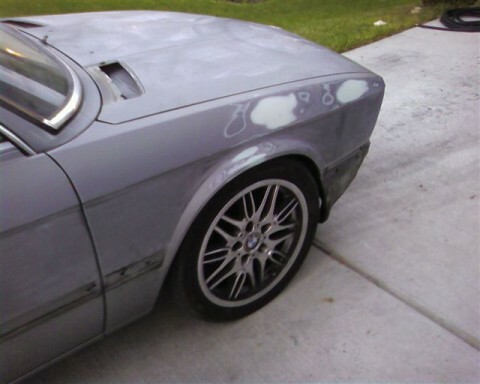 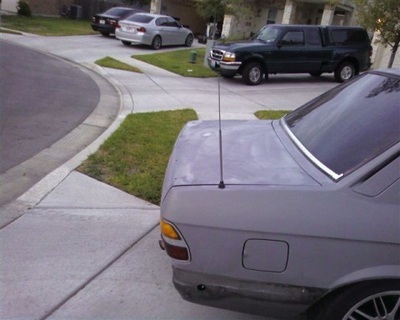 The exterior was subtle, but noticeable to the BMW purists. 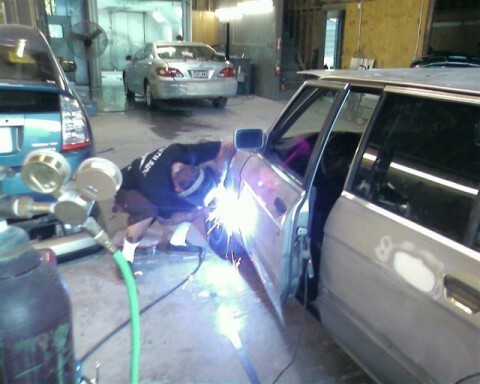 The mody moldings were removed and metal was welded in to fill the gaps for a smooth flat panel on all of the doors. 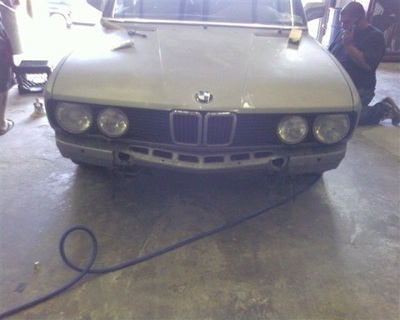 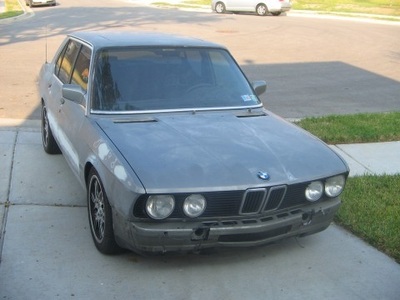 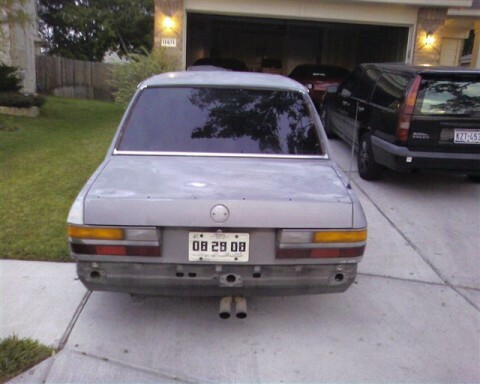 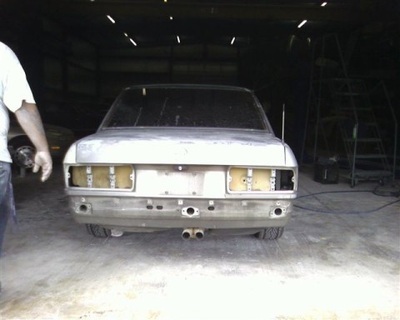 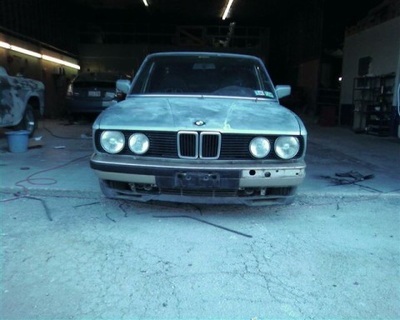 The old U.S. spec bumpers were removed and a set of BMW E34 M5 bumpers were chopped and sectioned to fit the E28 chassis. 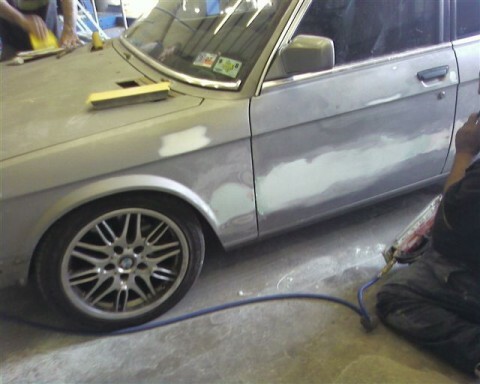 The color is that of a 2005 M5 Bluewater Metallic paint code that took years off the appearance with a more vibrant pallet. To finish off the look, a set of staggered HRE Performance Wheels 17x7 and 17x9 were fitted and fenders tightly rolled to ensure zero tire to panel contact. 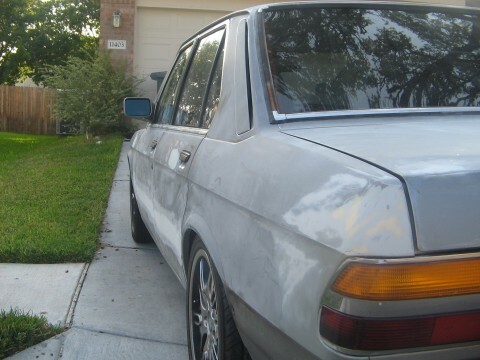 This car is a pure pleasure to drive and it's been said that this chassis was both the first and last of the "light sporty BMW 5 series." 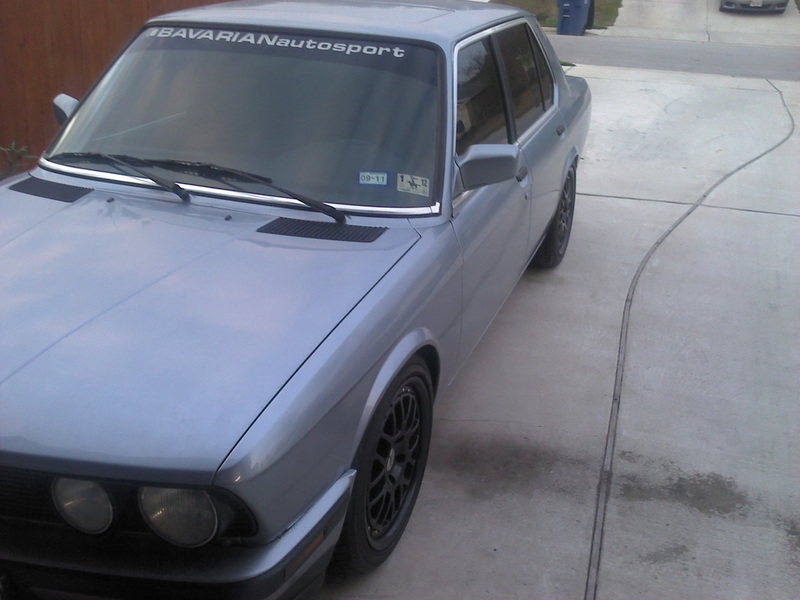 Sergio will NEVER sell this car, so don’t ask. 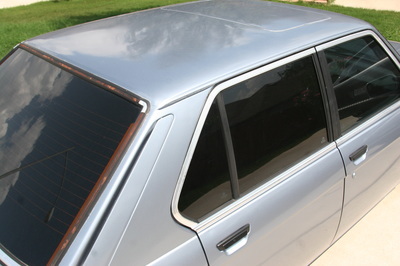 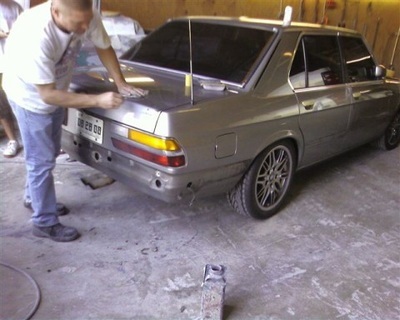 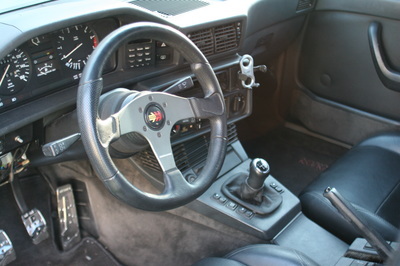 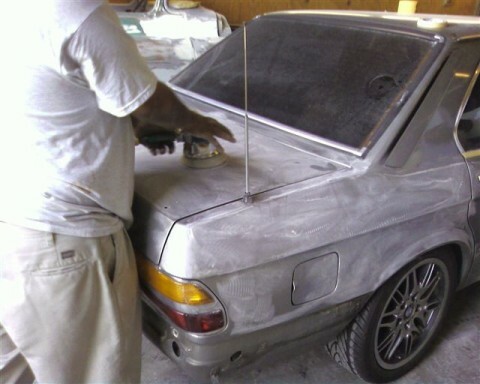 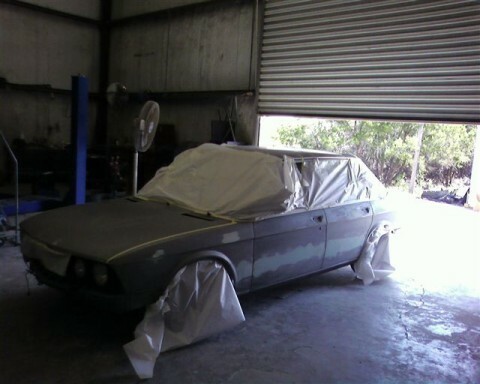 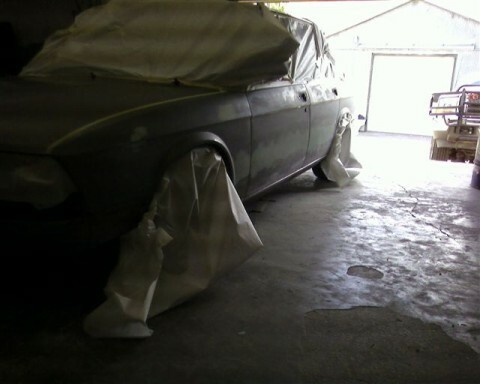 Photos taken during the build of the 1988 Dinan BMW 535is. 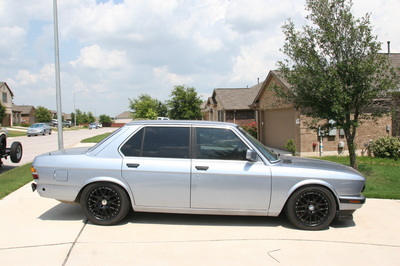 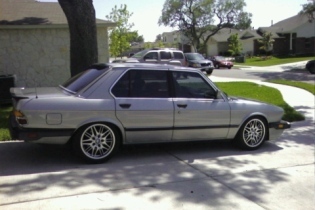 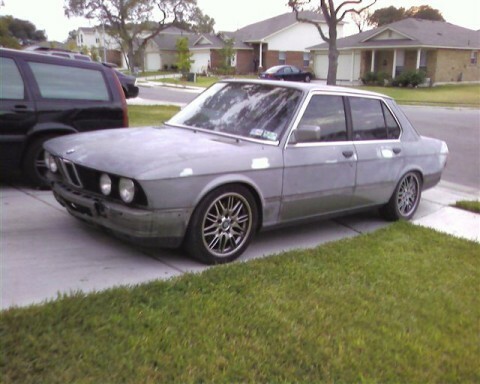 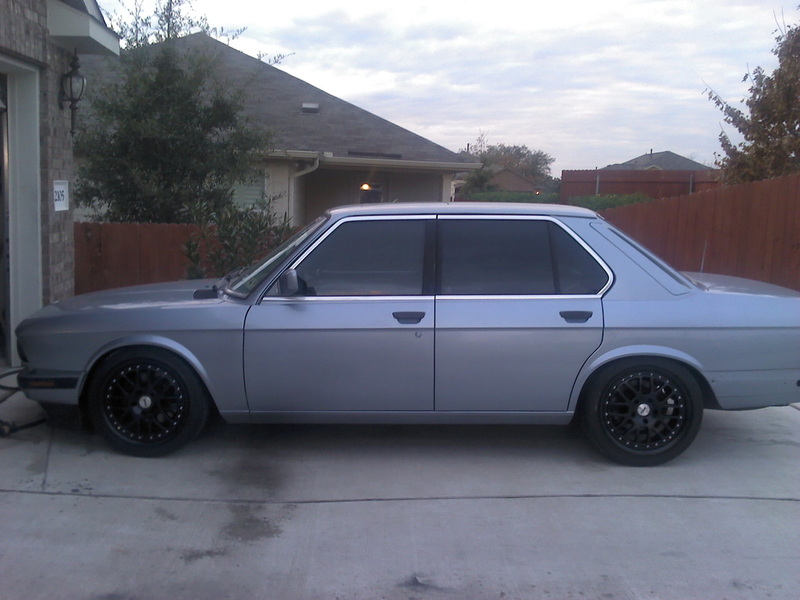 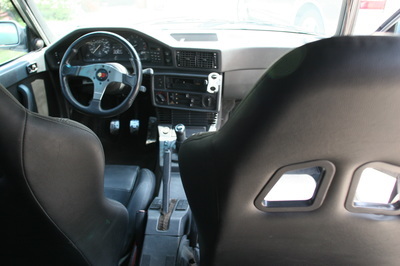 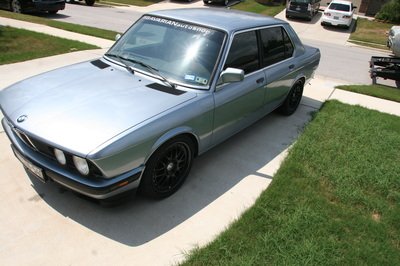 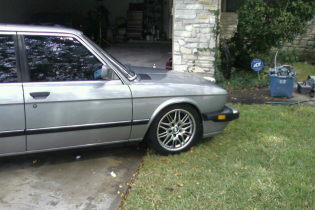 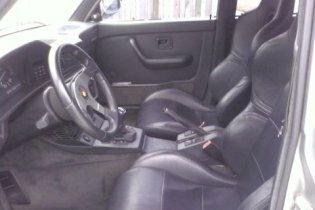 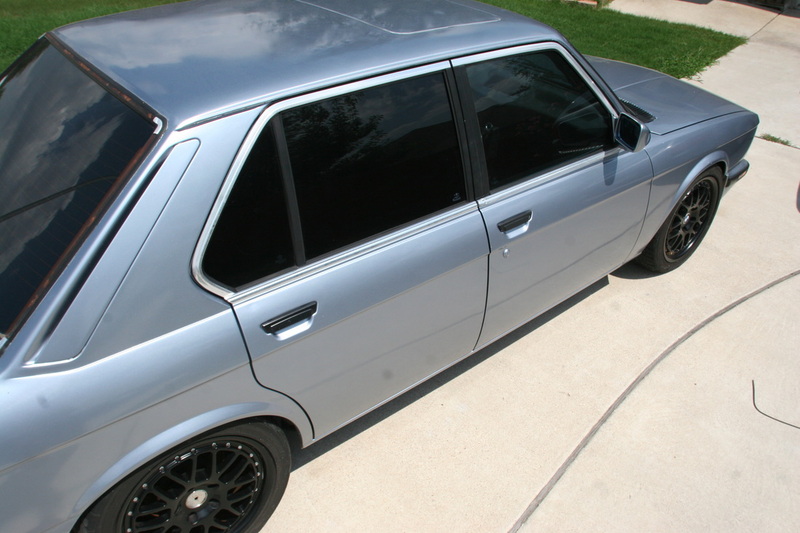 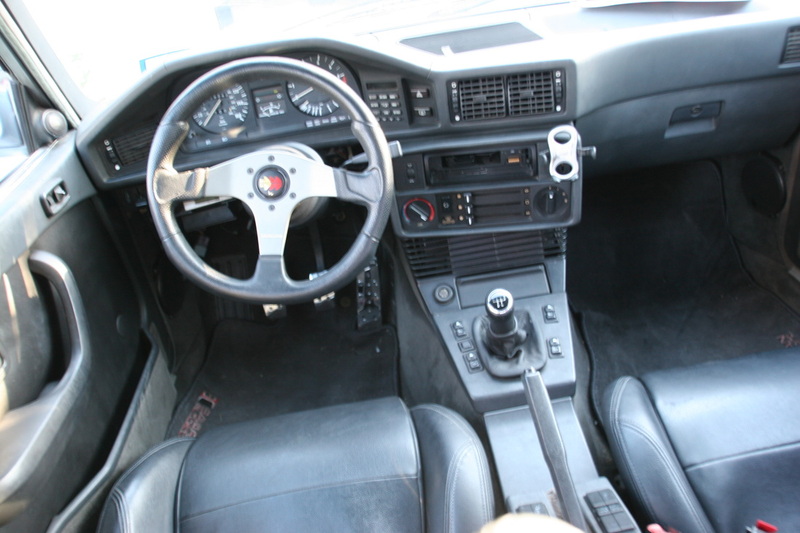 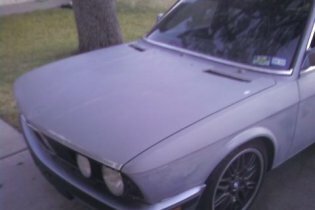 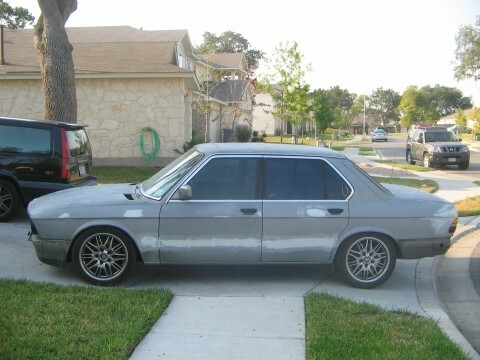 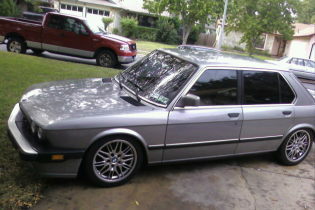 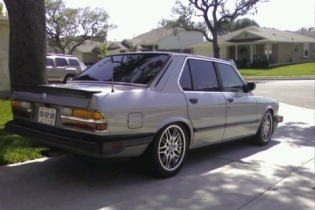 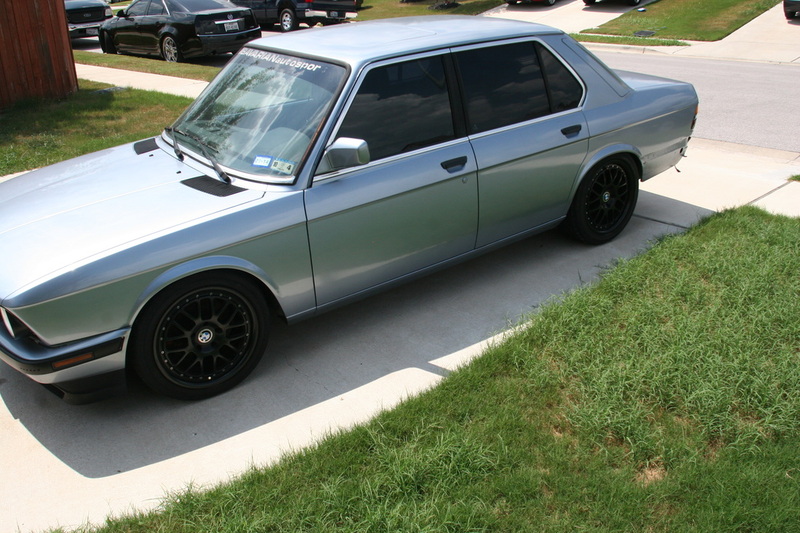 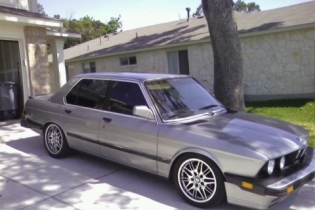 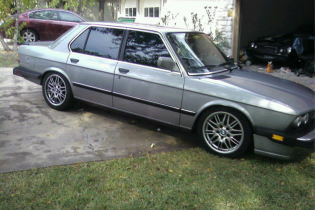 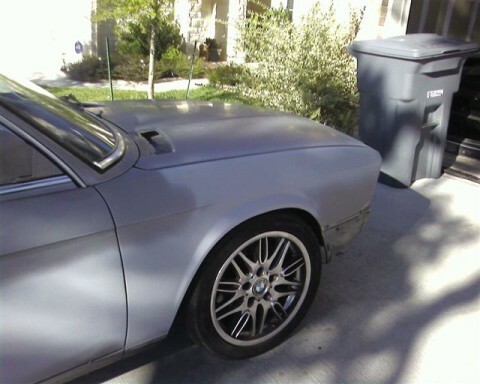 Pictures of the final product once the transformation of the 1988 Dinan BMW 535is was complete.